RIT's Board is led by its Chairman Lord Rothschild. Please click here to find out more about the Directors. RIT is managed by a wholly owned subsidiary, J. Rothschild Capital Management Limited (JRCM). The day to day business is run by JRCM's Executive Committee, led by its Chairman and Chief Executive, Francesco Goedhuis. We believe that our approach of active management of equity exposure, combined with early identification of opportunities and themes across asset classes, is more likely to lead to long-term outperformance. We would hope to display healthy participation in up markets, and reasonable protection in down markets. Over time, this should allow us to compound ahead of markets throughout the cycles. 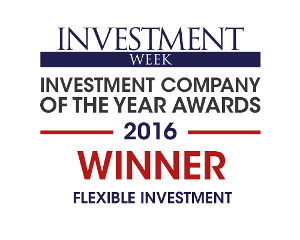 More information on our investment strategy can be viewed on the Investment approach page. 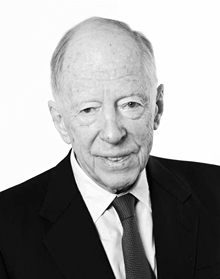 Jacob Rothschild has chaired RIT since its flotation in 1988 and is also Chairman of the Nominations Committee. He is President of J. Rothschild Capital Management Limited and Chairman of its Investment Committee. Having left NM Rothschild & Sons in 1980, Jacob developed RIT’s predecessor companies, co-founding companies in money management, insurance and investment, including Global Asset Management and St James’s Place Capital plc. He served as Deputy Chairman of BSkyB Plc for five years, to 2008. 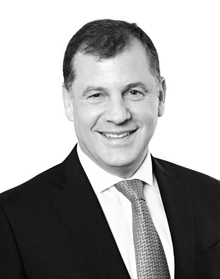 He is Chairman of Windmill Hill Asset Management Limited (WHAM), which manages the philanthropic foundations connected with his family, as well as chairing his own family’s office and the Rothschild Foundation. In addition to his career in finance he has been involved in public service including the arts, heritage and philanthropy having chaired The National Gallery, The National Heritage Memorial Fund and The Heritage Lottery Fund. 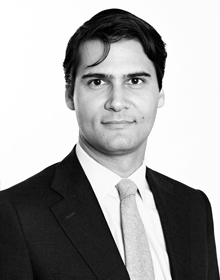 Francesco Goedhuis is the Chief Executive Officer of J. Rothschild Capital Management Limited. JRCM is the principal subsidiary of RIT Capital Partners plc and responsible for the day to day management of the Group. He joined the Company as the Principal in the Chairman's Office in 2010. Previously, Francesco was in New York working for the Economics Nobel Laureate Robert Merton and the former Vice Chairman of J.P. Morgan Roberto Mendoza at IFL commercialising financial academic theory on both the buy and sell sides. 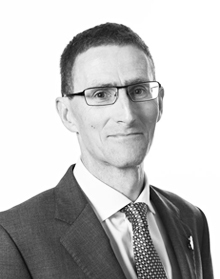 Andrew Jones is the Chief Financial Officer and Chief Risk Officer of J. Rothschild Capital Management Limited. JRCM is the principal subsidiary of RIT Capital Partners plc and responsible for the day to day management of the Group. Prior to joining the Company in 2008, he spent three years in venture capital and four years at Nomura, advising on its private equity investments as well as risk, global corporate development and strategy. He qualified as a chartered accountant with Deloitte LLP where he specialised in valuation advice. Jonathan Kestenbaum is the Chief Operating Officer of J. Rothschild Capital Management Limited. JRCM is the principal subsidiary of RIT Capital Partners plc and responsible for the day to day management of the Group. Until 2011 he was Chief Executive of Five Arrows Limited. He is also an adviser to philanthropic foundations connected to Lord Rothschild and a non-executive director of WHAM. He was previously Chief Executive of NESTA (the National Endowment for Science, Technology and the Arts). Prior to that he was Chief of Staff to the Chairman of Apax Partners, Sir Ronald Cohen. In January 2011, Jonathan was appointed to the House of Lords and became Lord Kestenbaum of Foxcote. Ron Tabbouche is the Chief Investment Officer of J. Rothschild Capital Management Limited. JRCM is the principal subsidiary of RIT Capital Partners plc and responsible for the day to day management of the Group. 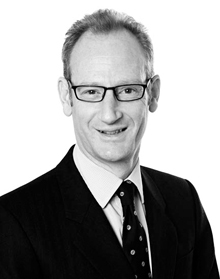 He joined the Company in 2012 having previously been the Head of Investments for Managed Portfolios at GAM. At the age of 26, he joined GAM’s Investment Committee, working with Gilbert de Botton, its co-founder. Subsequently, he led the overall investment strategy of multi-billion Dollar funds across a broad range of asset classes. 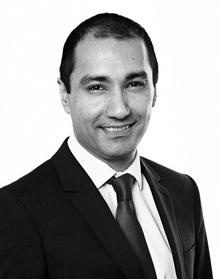 Shahid Ikram is a Senior Strategist within the Investment team at J. Rothschild Capital Management Limited, reporting directly to the Chief Investment Officer. JRCM is the principal subsidiary of RIT Capital Partners plc and responsible for the day to day management of the Group. 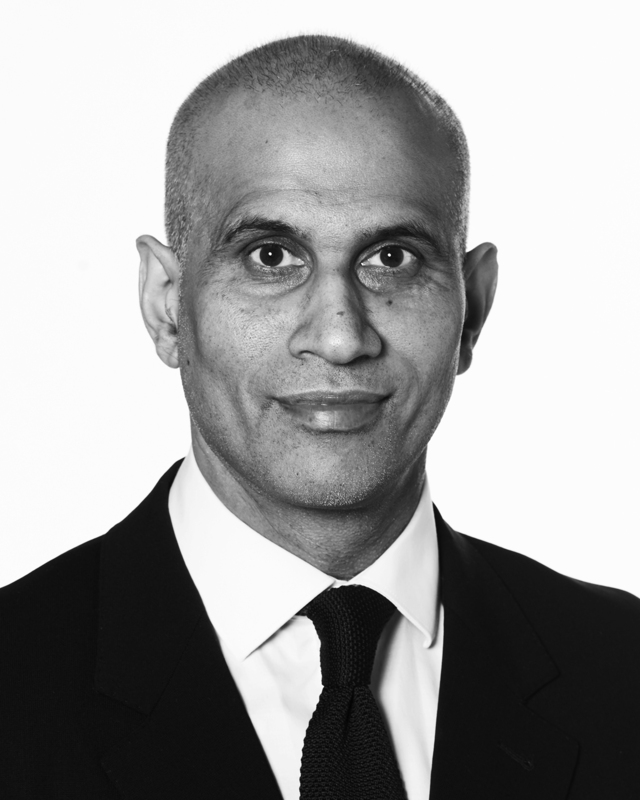 Prior to joining the Company, Shahid was the Chief Investment Officer at Aviva Investors, having previously headed up the Sovereign Debt and Absolute Return Division. Shahid received a BSc (Hons) in Mathematics and Statistics from the University of Greenwich. 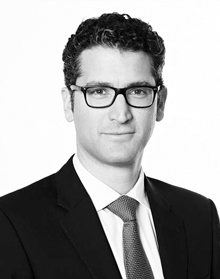 Aron Balas is a Senior Investment Executive working across the Private and Public Equity Investments teams of J. Rothschild Capital Management Limited. JRCM is the principal subsidiary of RIT Capital Partners plc and responsible for the day to day management of the Group. He previously worked in the Financial Institutions Group within the Investment Banking Division at Morgan Stanley, where he advised major financial institutions across Europe with a focus on banks and asset managers. He started his career at Oliver Wyman in their financial services practice. Aron has a BA in Economics from Cornell University and an Msc in Economics from the London School of Economics. 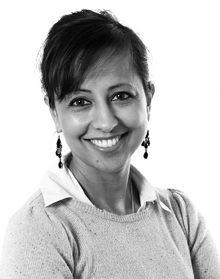 Fauzia Choudhry is an Assistant Analyst supporting the Funds team of J. Rothschild Capital Management Limited. JRCM is the principal subsidiary of RIT Capital Partners plc and responsible for the day to day management of the Group. Prior to joining the Company she worked as an Executive Assistant at Spencer House Capital Management. Hitesh Haria is a Senior Funds Executive in the Funds team of J. Rothschild Capital Management Limited. JRCM is the principal subsidiary of RIT Capital Partners plc and responsible for the day to day management of the Group. Hitesh is responsible for sourcing, researching and evaluating investment managers globally with a multi-asset class and strategy remit. Prior to joining the Company, he worked as an Investment Officer and Investment Analyst at The Atlantic Philanthropies and as a Money Markets Executive at Barclays Capital. Hitesh holds a BSc (Hons) in Business Mathematics & Statistics from the London School of Economics, a MSc (Distinction) in Finance from London Business School and is also a CFA charter holder. 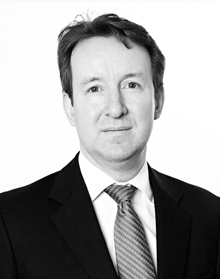 James Marshall is responsible for trade execution at J. Rothschild Capital Management Limited. JRCM is the principal subsidiary of RIT Capital Partners plc and responsible for the day to day management of the Group. James previously spent four years at Gradient Capital, and six years at Adelphi Capital, both European focused Long/Short funds. He also spent 5 years at GSAM, running the centralised European trading desk. James has a BA (Hons) in Business Studies from Coventry University. 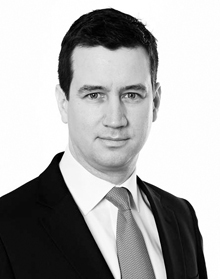 Simon Pitcher is responsible for leading the Private Investments team of J. Rothschild Capital Management Limited. JRCM is the principal subsidiary of RIT Capital Partners plc and responsible for the day to day management of the Group. 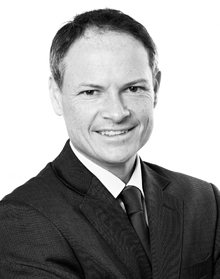 Previously Simon was a Director at Standard Bank Private Equity, a Director at Blackwood Capital Partners in Sydney and an Investment Director at Hermes Private Equity. He qualified as a Chartered Accountant with PwC. Brian Rutherford is an Investment Executive in the Private Investments team at J. Rothschild Capital Management Limited. JRCM is the principal subsidiary of RIT Capital Partners plc and responsible for the day to day management of the Group. Before joining the Company, Brian worked at Goldman Sachs in London and Kensington Capital Partners in Toronto where he was responsible for analysing and developing their Private Equity and Venture Capital opportunities. Brian holds an MBA with distinction from the London Business School, a degree with Honours in Applied Science from the University of Toronto and is a CFA Charterholder. Trushant Shah is responsible for leading the Funds team of J. Rothschild Capital Management Limited. JRCM is the principal subsidiary of RIT Capital Partners plc and responsible for the day to day management of the Group. He previously held Senior Manager Research positions, with International Asset Management and ABN Amro. His investment career started in 1998 at Schroders Investment Management in the analytics team. Trushant graduated from Kings College, University of London with a First Class BSc (Hons) in Mathematics and Management and was granted the most outstanding achievement award. Garret Sheridan is an Investment Executive in the Funds team of J. Rothschild Capital Management Limited. JRCM is the principal subsidiary of RIT Capital Partners plc and responsible for the day to day management of the Group. 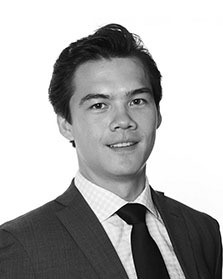 Garret is responsible for Operational Due Diligence on the underlying fund managers in the fund's portfolio. Prior to joining the Company, he worked as a Senior Analyst for MAN Investments and GLG Partners in New York and London and as a Management Accountant at NewFinance Capital (Schroders) in London. Garret holds a BBS (Hons) in Business Studies from Athlone Institute of Technology and is a Chartered Management Accountant. 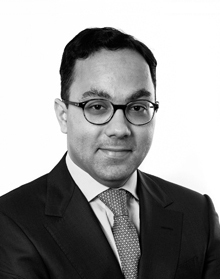 Fahad Siddiqi is responsible for Public Equities at J. Rothschild Capital Management Limited. JRCM is the principal subsidiary of RIT Capital Partners plc and responsible for the day to day management of the Group. 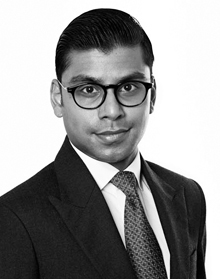 Prior to joining the Company, Fahad was with MFS Investment Management, where he was a Portfolio Manager of a European Equity fund and a Sector leader of the International Consumer Cyclical Sector. Fahad was also responsible for sector coverage of the pan European Retail and Media sector. Fahad received a BSc Economics (Hons) from the London School of Economics and an MSc in Finance from the London Business School. Ashley is the Group Financial Controller of J. Rothschild Capital Management Limited. JRCM is the principal subsidiary of RIT Capital Partners plc and responsible for the day to day management of the Group. Having qualified as a Chartered Accountant with Touche Ross & Co in 1997, working in the Financial Services Group, Ashley completed a short service commission in the Army completing operational tours in Iraq, Cyprus and Bosnia. Prior to joining JRCM he worked for a hedge fund manager operating a diverse fund portfolio. 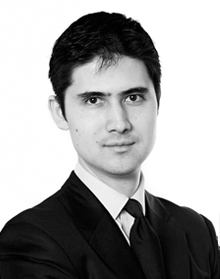 Sergei is a Quantitative Analyst within the Investment Team. Prior to joining RIT, Sergei worked at MetLife Europe and was responsible for designing the quantitative aspects of their hedging programme for their UK variable annuity business. Prior to MetLife, Sergei held internships at both Bank of America Merrill Lynch and BNP Paribas before becoming a Quantitative Analyst at Lloyds Bank.